Frequently called Parlor Palm or Table Palm, indicating its popularity as a houseplant, this bushy palm has arching, airy fronds and requires little beyond moist soil. Arrange amongst broader leaved houseplants for a stylish display. Can be grown in the understory of other plants outdoors. Perfect for all kinds of containers. 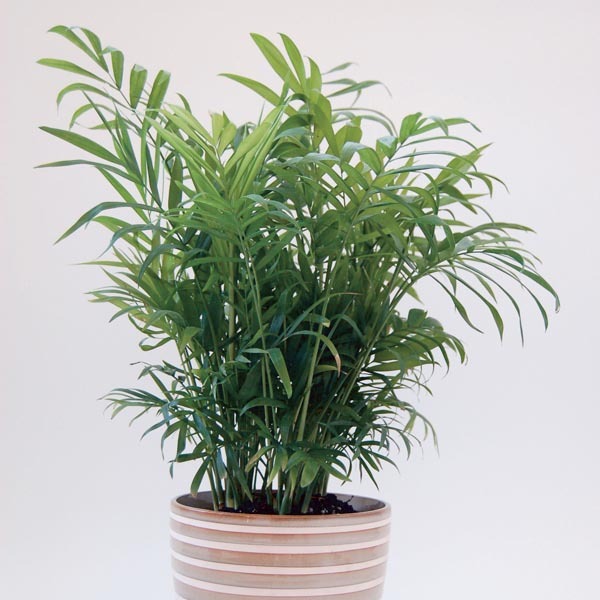 Makes a breathtaking potted specimen plant. Wonderful for combination plantings. May be displayed outdoors in warmer weather. Performs best in slightly acidic, organic-rich soil. Keep soil evenly moist. Apply a balanced liquid fertilizer monthly during active growth.